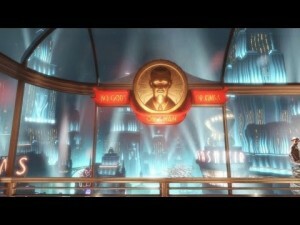 Welcome back to Rapture. Home to the stories of both Bioshock 1 and 2, the underwater city of Rapture was built by entrepreneur Andrew Ryan as a place in which progress could occur unhindered. The motto of “no gods or kings just men” was used to justify the creation of inventions such as Plasmids, chemicals that essentially grant you superpowers. This essentially led to the downfall of the city as the residents became addicted to Plasmids and went insane, turning into “splicers”. The first two Bioshock games portrayed the city following this downfall, Rapture in ruins and overrun by splicers. Infinite took us to a whole new location with the floating city of Columbia. But it also introduced us to the infinite multiverse that exists within the Bioshock franchise by giving us Elizabeth. And with the first full length, narrative DLC for Infinite, Irrational Games have taken this idea of the multiverse to a place which, as a long term fan, I can’t help but love. Burial At Sea Part 1 places you back in the role of Booker De Witt, but this time you find yourself in Rapture, pre-decline. At this moment in time, Rapture is just starting to experience the troubles that will eventually ruin it. Fontaine has been defeated and his department store has been turned into a splicer-filled prison, the Little Sisters are being developed and the majority of the Rapture population is still healthy. You find Booker as a private detective, haunted as ever but this time his haunting is less clear as, straight off the bat, we are introduced to Elizabeth as a client. She’s looking for a girl that you have a personal association to, in somewhat of a similar setup to the main Infinite game. It is then up to you to accompany and assist her in finding this girl. This investigation will take you throughout a variety of Rapture’s environs, from the decadence of elite artist Sandy Cohen’s trippy-as-all-hell nightclub to the sunken wreckage of Fontaine’s. It also reintroduces you to the classic enemies of Bioshock. Splicers are of course your main opponents and are, for the most part, the same as those found in the original games with some updates that essentially make them more of a pain to deal with. I’ll confess, I loved the DLC. Much as I liked getting to see somewhere new in Infinite, and Columbia was truly epic, Rapture is just classic Bioshock and it’s awesome to see the characters that I grew to knew in Infinite transplanted into this underwater hell. And it truly is hellish. The story is awesome and continues the tonal stylings of previous games, providing a dark and surprising narrative that packs one hell of a punch in the finale. 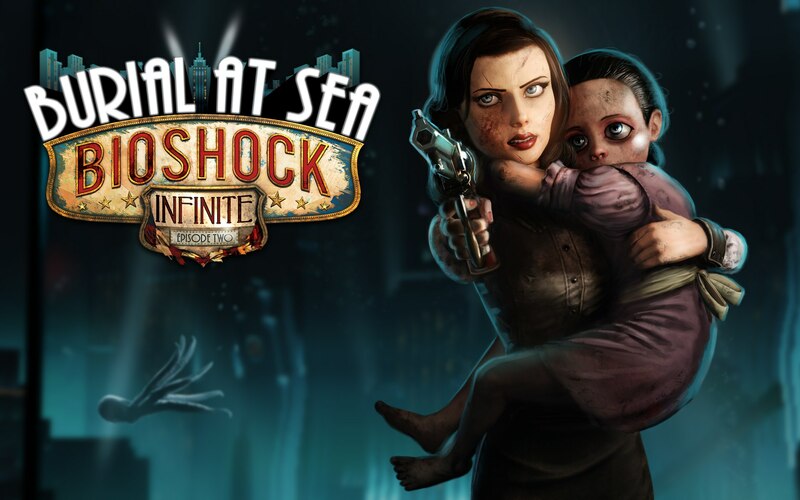 To me, Burial At Sea represents the near perfect blending of Bioshock 1 and 2 and Infinite. To some it may seem like not enough has changed but, for me, this new setting for Infinite’s mind games was the perfect way to expand upon the tale of Elizabeth and Booker De Witt. I say near perfect for a reason though. There are of course flaws with the DLC. The minor ones are a couple of bugs with doors that mean the doors will just endlessly spin their locks without opening, preventing you advancing. These bugs are irritating but are pretty much always solvable by reloading the game. The main problem is the length of the narrative. Even with full exploration of the DLC’s environs and collecting all the kit there is to find, it’s still a pretty short campaign. Admittedly there is a second installment to come but still, it’s not hard to finish Burial At Sea Part 1 within a couple of hours. Ken Levine, the mastermind behind the Bioshock franchise, claims this was done as an emphasis on quality over quantity but given the length and quality of Minerva’s Den, the full-length isolated narrative DLC for Bioshock 2, it may be hard for fans not to feel a bit short changed by Burial At Sea. That said, this is just Part 1. We are still yet to see Part 2 and this is possibly where the real excitement comes in. Because as cool and fun to play as Booker is, Burial At Sea Part 2 will allow you to play as Elizabeth with all of her wonderful reality bending abilities. So while Part 1 may have issues with its length and it may seem possibly like somewhat of a marketing scam to split the campaign into two parts, I prefer to focus on the fact that I’m getting two additions to a universe that I love, two more slices of brilliantly dark and inventive narrative that are sure to take fans to places that will continue to mess with your head. Also, how can you not be excited about playing Elizabeth? The girl tears holes in space-time! If nothing else, that’s enough to get me in the mood for Part 2.